Task: to turn a large section into an independent website. The website is created for everybody who goes to Mega for work, not recreation. 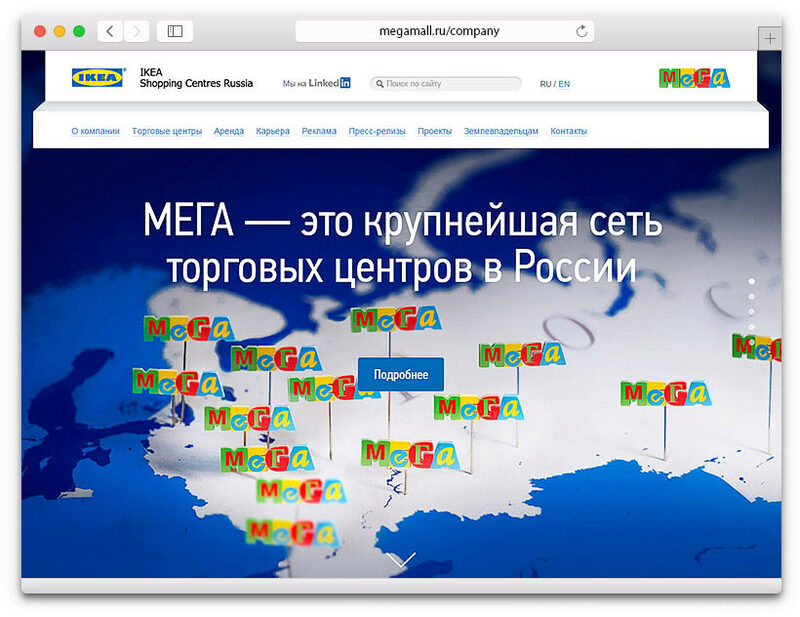 Tenants, advertisers, contractors, landowners, journalists and job seekers visit the website to find information about the activities of Mega all across Russia. On the About Company page the regular statistics on performance of shopping centers is presented in the form of detailed illustrations that are pleasant to view. In the careers block every department of the company has its own floor.